but now they look like this!! Remove any labels they may have (like the Nestle container had). Some of these will be used for non-food items like my box tops, buttons, etc. I gave them all 3 coats of the chalkboard paint - seems to be plenty, because so far so good! It keeps a couple extra things out of the recycling bin and helps keep my home a tad more organized. (Still have a looooooooooooooong way to go before that is all done, haha!) 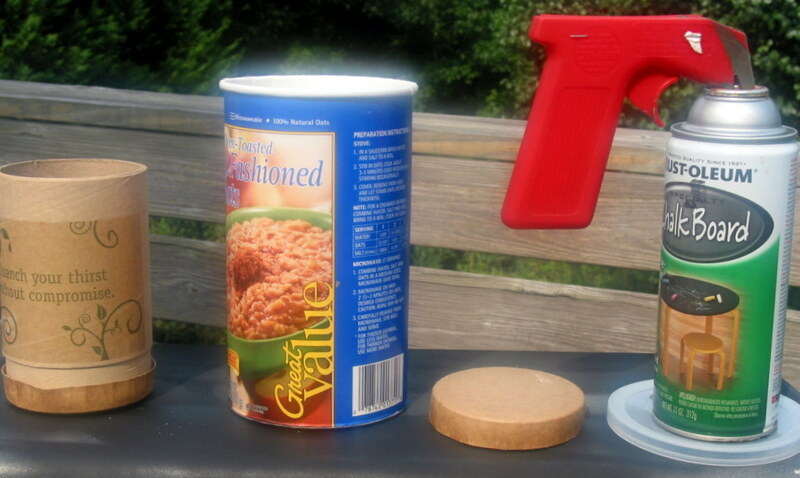 For the cost of a can of spray paint (under $5 at Home Depot), this was a super-easy, frugal project! 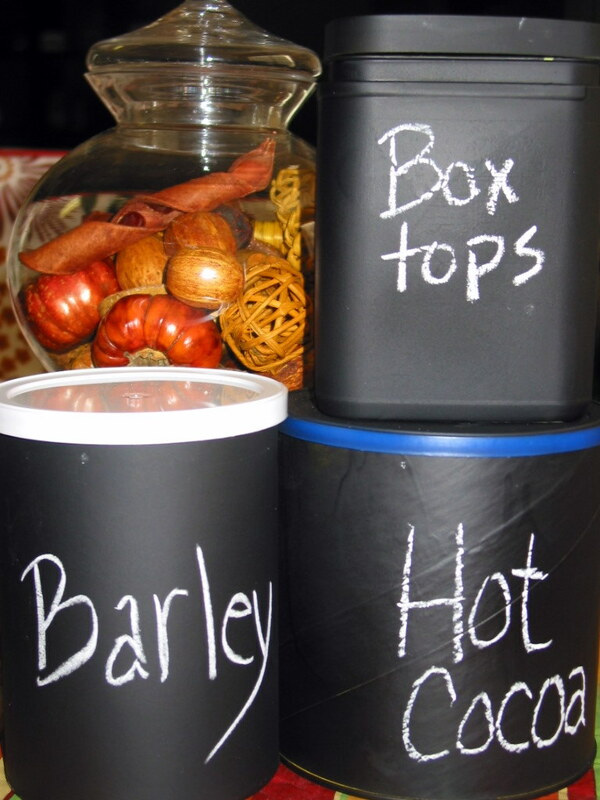 What's your favorite thing to use chalkboard paint on? This is such a great way to reuse and re purpose containers! Love it!